Straight, white teeth are so commonly seen in Hollywood, yet many of those famous smiles did not start naturally. Porcelain veneers have been transforming the smiles of actors and other performing artists for decades, giving them perfect smiles to flash for the cameras. You too can have a Hollywood smile with the help of cosmetic dentistry options that are available to everyone, not just the rich and famous. Sugar Creek Family Dental offers gorgeous porcelain veneers for those who want a smile that is camera-ready, whether it is for the paparazzi or just to take an amazing selfie. 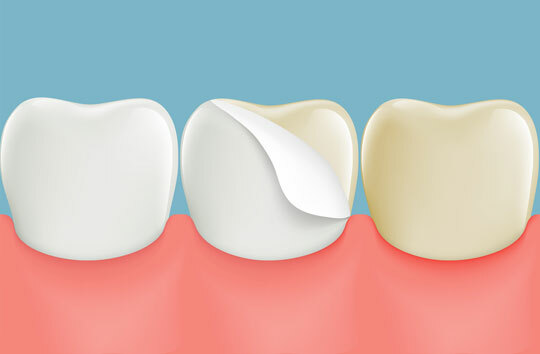 Porcelain veneers are attached to the front of teeth to cover common dental issues. Slightly crooked teeth, discolorations, small gaps and uneven teeth can be hidden behind these beautifully crafted shells of porcelain. Once adhered to tooth enamel, your smile is permanently transformed into the smile you always wanted which would normally take years to achieve through orthodontics and other cosmetic dental procedures. The incredible aspect of cosmetic dental veneers is how quickly they can give you the smile you desire. Once they are created, your new dental veneers can be put into place in one day, leaving you with a beautiful, star-quality smile. This is ideal for someone that has an important event like a wedding, job interview or reunion in the future that requires them to look their best. Dr. Capati and our dental team here at Sugar Creek Family Dental can help make that dream smile a reality.